Ever had to cram a USB device into an impossibly small volume, only to find out you've run out of USB ports? Well, I do admit, that is kind of a niche application. Nevertheless, I recently had to add multiple USB devices inside my tablet and as you might imagine, space is at a premium in there. So I created the NanoHub, the smallest USB 2.0 hub in the world. It doesn't have proper USB connectors, you have to solder wires to it. 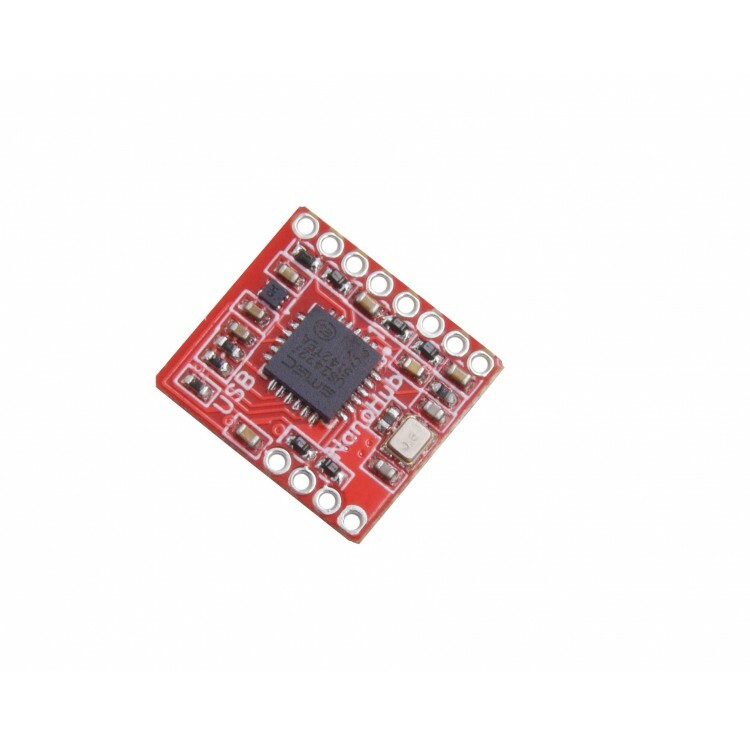 This, though, made it possible for me to make a USB hub that is substantially smaller than a standard type-A USB connector. Pretty sweet, eh? This USB hub is really for hacking projects, by people who are comfortable soldering tiny wires. 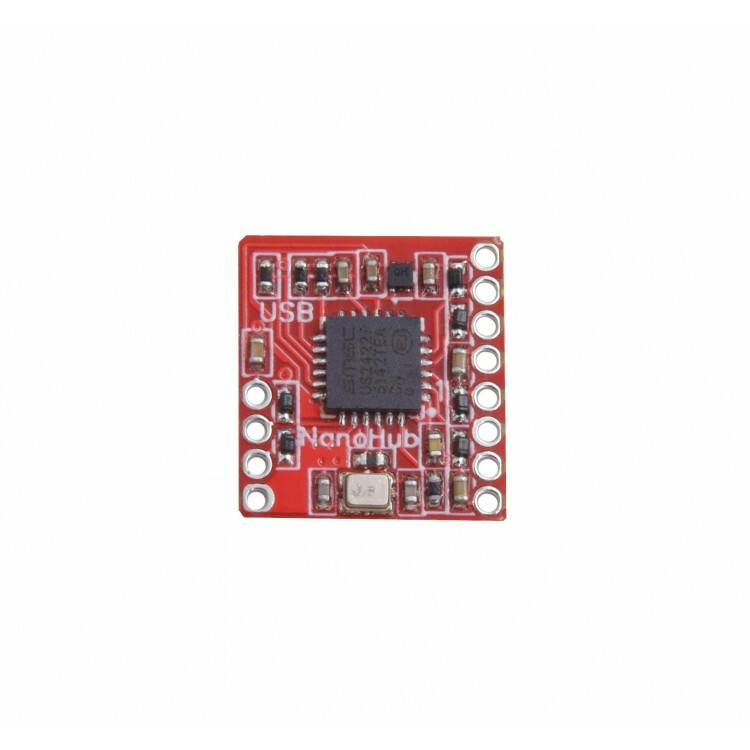 The NanoHub's connection points are spaced just right to use with standard 1.27mm (0.050") ribbon cable or flat USB cables. Because these aren't properly impedance matched wires, you will not be able to use more than approx. 400mm cable lengths reliably. Also, carefully observe and double-check the polarity of your wires. The correct pole designation is on the back of the board. Getting this wrong almost certainly means damaging the NanoHub and any attached USB devices. After building it into your project, in order to avoid accidental shorts, use heatshrink or kapton tape around the board to insulate it. Note: This product is designed by Emile J.M. 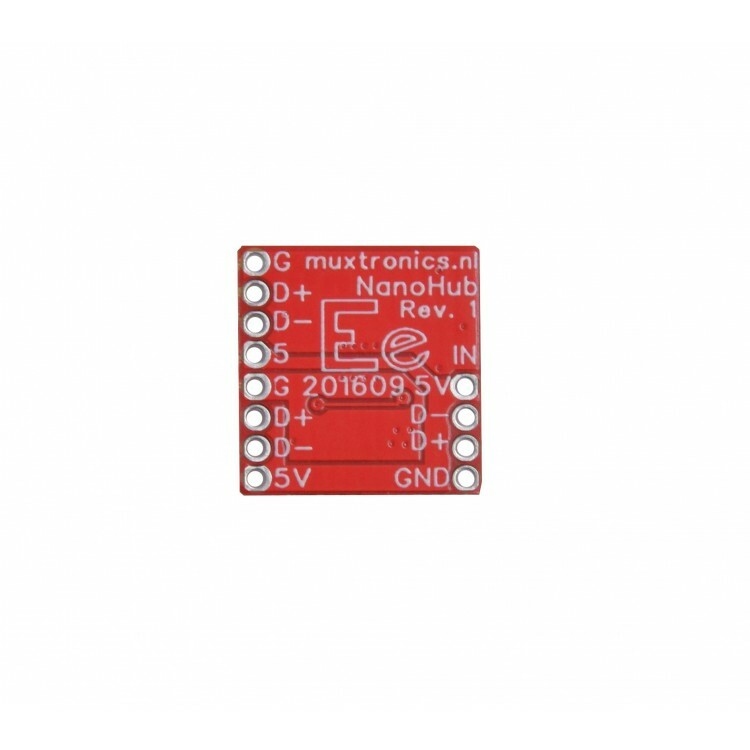 Nijssen - muxtronics.nl, and we are officially licensed by Muxtronics, you can also buy nanohub from Muxtronics's tindie store.